I am sure you have your reasons to disable the responsive design in Divi WordPress theme from Elegant Themes. May be your client is insisting on it. But note that Divi theme is built to be responsive from scratch. So removing or disabling the responsive design from Divi is not recommended, because it may break some of its functionality and design. If you must do it, then the process to make Divi unresponsive is following. To remove styles for the specific area, simply delete all the styles after the comment. So, for example, if you want to remove responsiveness from all mobile devices and tablets, remove all the codes after the comment titles listed above. After making these changes, clear your browser’s cache and cache from any WordPress caching plugin you might be using. Then check the site. It should not be responsive now. 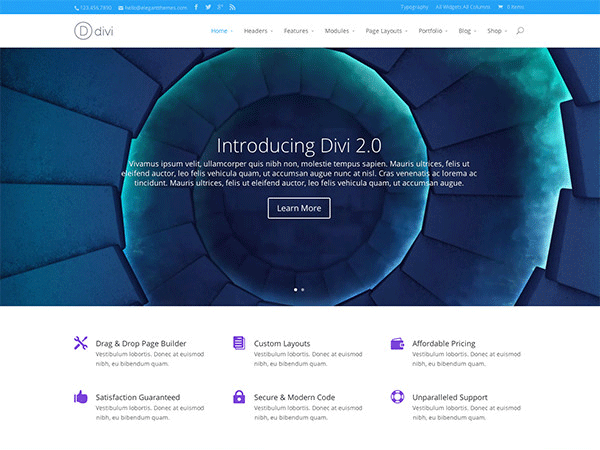 Its possible that you see some design and functionality related issues in the Divi theme now, because, as posted above, Divi theme is built to be responsive from scratch and disabling responsiveness may require some additional modifications to make it look correctly. These custom modifications must be handled by a WordPress developer depending upon what Divi modules and third party plugins you are using. You may want to contact a WordPress developer to fix the issues related to removing the responsive design from Divi.